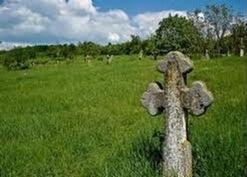 In general, Lviv has 13 cemeteries. Of these, only three are applicable: Holosko, Sykhiv and Ryasnyanske. Holosko cemetery is located in Shevchenko district of the city, near Bryuhovichi forest existed since 1988 and is one of the largest in Lviv.